A concussion is a brain injury that usually follows a significant impact to the head and creates a biochemical imbalance, decreased blood flow and energy deficits within the brain. Most healthcare practitioners will claim that rest is the only treatment option you have. If you’ve fallen victim to this, you don’t need more rest, you need a second opinion. Concussion research is a rapidly evolving field, which is why Element Physical Therapy is now recognized by Complete Concussion Management Inc. (CCMI), a worldwide network of clinics offering evidence-based care. With treatment based on research, our specialists will help you recover with concussion treatments using a variety of proven methods. After the initial assessment, we provide patients with a supervised regime for use in our clinic and home. The exercises stimulate blood flow to the brain and help to eliminate symptoms faster than simply resting. Concussions and whiplash often occur together and have the same symptoms. Manual therapy utilizes massage and manipulation of the muscles and joints, as well as joint mobilization to help ease whiplash symptoms you didn’t know you had. This is an exercise based program designed by specialized physical therapists to treat balance and dizziness related symptoms. Education and reassurance is an essential part of concussion care. We make sure you understand what is going on with you and your health, and how you can help improve your recovery. Multimodal baseline testing is a series of physical and cognitive tests that provides a pre-injury overview of healthy brain function. These tests can offer healthcare practitioners with an objective benchmark on which to compare should a patient sustain a concussion. 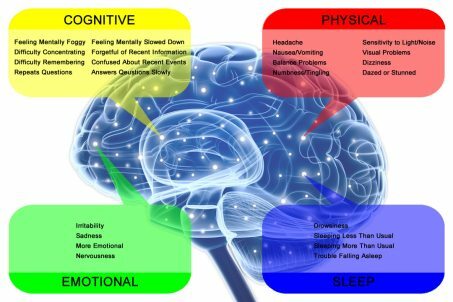 As concussion symptoms often disappear days to weeks before the brain has recovered, having valuable baseline information may help practitioners to make safer return to play decisions. View baseline test results, find CCMI clinics and access recovery tips and exercises conveniently through your phone. The CCMI Network is a group of recognized clinics that practice standardized, evidence based concussion care. Don't Leave Yet! Book an Appointment!